What does it take to make the ultimate grip? Just ask DMR and professional Mountain Biker Brendan "Brendog" Fairclough. Together they designed the Deathgrip to work with all types riding, from trail to DH. 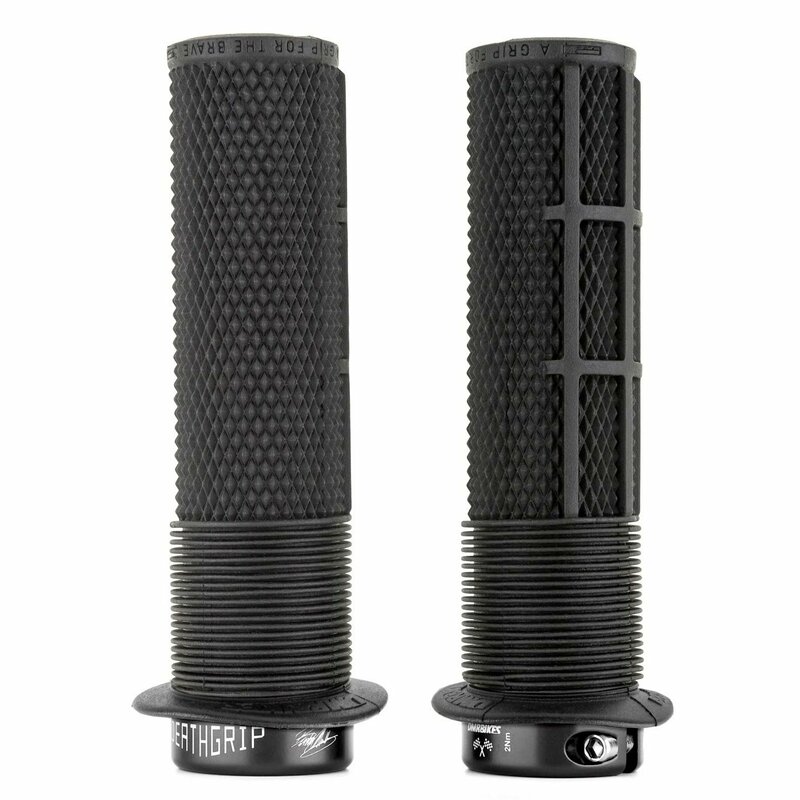 The Deathgrip combines a waffle and knurl pattern for grip, and mushroom section for comfort. The tapered core allows the use of only an outer lockring, but still holds just as secure as any dual clamp design. The RACE edition is wrapped in a secret super-soft, and tacky compound that ensure ultimate comfort and grip. Super comfy grips... my new go-to grips for my bikes. I thought the hand grips would be hard, but I hardly feel it. The thin parallel knobs around the thumbs are soft and add that extra oomph for long rides. I like the flanges and it doesn’t get in the way of shifting gears.